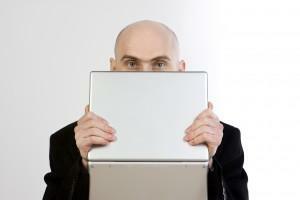 Do We Hide Behind Email? We talk often about the importance of follow up and ‘the process’ of effective lead nurturing in real estate sales and marketing. Advances in email technology allow us to distribute and share information to a targeted segment or the entire prospect database in a matter of minutes. The cost of sending mass email to a list of registrants equates to pennies per mail versus a cost of thousands of dollars for a direct mail piece. The cost, tracking capability, and the fact that you can send an email from practically anywhere makes email marketing a no-brainer to communicate with both prospects and homebuyers. But is there a downside? How often do we choose email because it’s the easiest option for us? Do we really consider what kind of communication our prospective homebuyers may prefer or do we tend to hide behind email? And It’s a lot easier to send a follow-up email to a new homebuyer prospect who registers online than to pick up the phone. That’s not to say an email shouldn’t be sent but how many of us include a follow-up phone call within a few hours of sign-up as part of the basic sales follow-up process? Results from a 2010 survey by Builder Target of 452 new home communities indicated 86% of new online leads did not receive a phone call! Yow! The phone call does so much more than an email can do – it helps create a personal relationship and build rapport. The phone call is also going to help you when you do send out email . . . the likelihood of a prospect opening an email from someone they’ve spoken to is much higher than if their only previous communication has been email! Email has many benefits – it leaves a digital trail, perfect for communicating specific details about a project, a home type, etc. But please don’t dismiss the power of the phone call and reaching out and speaking to your prospects personally! No question, it’s more work to pick up the phone . . . but the first call can be as simple as to offer assistance, information and inquire how you can help. Challenge your entire sales team to make calls. This is where your CRM also comes into play. Set some realistic goals for calls, even have some fun with a contest, but do track the results and make follow-up calling a part of the sales culture. The information that reps will start to record in your CRM prospect database will be remarkable… and the interactions and the information learned will accelerate relationship building and improve sales velocity. Give phone follow-up a try. Happy calling!